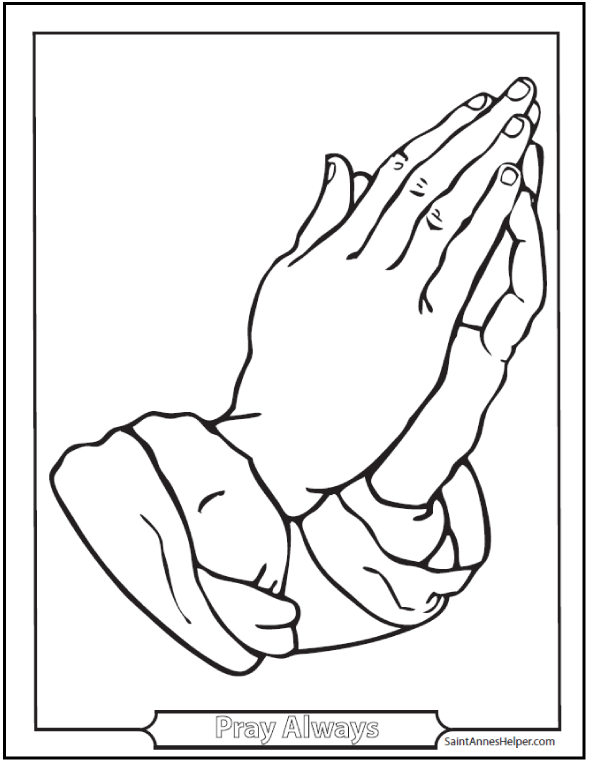 Use this antique praying hands image in Sunday school or religion class. It's a classic picture of the way to fold your hands nicely. This PDF prints 8.5x11" single sided. Teach the children to fold their hands like this.